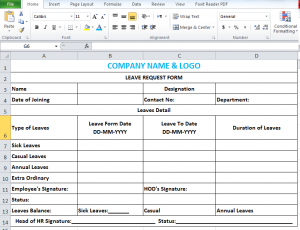 Format of Employee Leave Application Form sample available for free download. You can customize it according to your office or company requirements. For more options visit staff leave application form. We provided 7 different leave forms for all types of companies, select the best for your school, college or company employees. Sample leave application format form for office, school, company, business, organization or business. This leave application form sample is taken from a multinational company and includes the sections for annual leave, casual leave, sick leave, maternity leave and LWOP leave. First section include personal information, second section includes type of leave and reason, Third section include leave recommendations and forth section is for the record of HR Department or HCD. The format is available MS Wrod for free download. Sample Office Staff Leave application form template for leave, annual leave, school staff leave form or office leave form. Staff leave form format is available for free download. 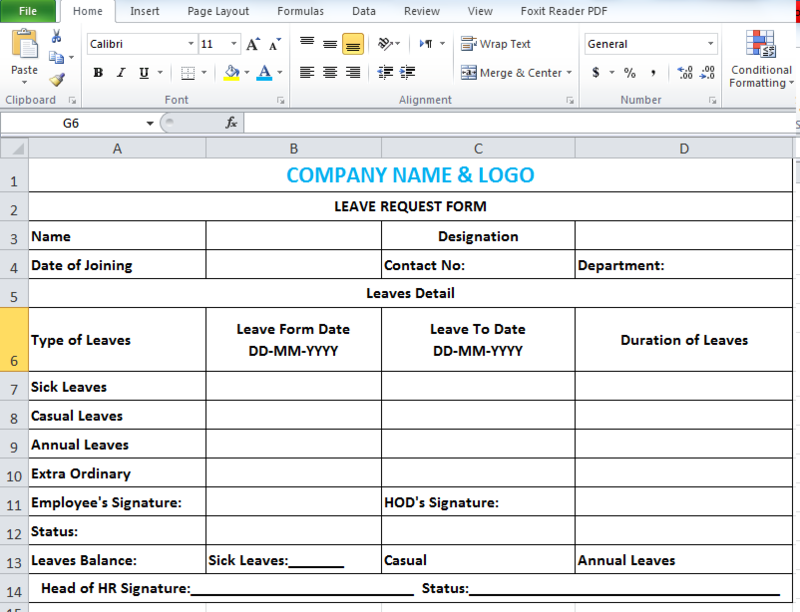 This staff leave form template is taken from multinational company, can be used for sick leave, casual leave, annual leave, lwop or CPL leave. Official Leave application form format for office, company, factory, school, college or university which include reasons of leave, type of leave and dates. This leave application form contains 4 sections of approvals/disapproval of leave application from section heads for keeping records for salary purposes. Sample Leave Application Form for employees, office, factory, company, hr department for employees to keep the leave records of company staff. This Leave Application form can also be used in schools. Original Leave form is available for download in word doc. Please download the form in ms word file from above link. Open the file in Ms word 2009 or latest edition and make it editable from the option showed after opening the file. Make the required changes as per your company requirements, office requirements and put the signatory details at the end of form. After the changes your leave form will be ready to be used in office.